Protecting Kids or Football: What Will It Be? Youth football has been sitting in the hot seat lately, as experts and parents continue to bring up questions about its safety. Their reasoning? Surely when a kid runs full force into another, crashing their heads against each other, that impact can’t do any good for their developing brains. In fact, many are wondering why it’s taken this long for the problem to come to light in the first place. Is the heavy contact more a risk than the sport is worth? Mounting research shows it is. CTE Isn’t Caused by Concussions. A new study published in the journal Brain sought to find out exactly what kind of effect repeated head trauma can have. Specifically, researchers conjectured that the trauma may have something to do with a degenerative brain disease seen in contact sport athletes, called CTE. Up until now, experts have focused on concussions for chronic traumatic encephalopathy(CTE). With a concussion, the player sustains a more traumatic injury that involves needing to recover in coordination, memory and concentration. With lighter repeated hits during a game or practice, though, athletes bounce back more quickly with seemingly no repercussions. However, the new research suggests that those hits may have more of an effect than previously thought. First of all, researchers analyzed the brains from four teen athletes who had experienced head trauma or concussions. Later, these athletes died within a few days or months of their most recent injury. Upon closer examination, the researchers found that two of the teenagers had an excessive amount of the tau protein on their brains. Experts often look for this protein buildup when confirming cases of CTE. Then, in another of the athletes, the teenager actually met the criteria for early-stage CTE. Next, the researchers moved to analyzing head trauma in mouse models. To do so, they created a machine that would cause various head injuries similar to ones that athletes might experience every day on the field. The mice responded in different ways, sometimes recovering quickly or after a few days. Interestingly, though, the researchers started noticing the telltale sign of tau protein building up. If that trauma kept happening, you can only guess what experts might see starting to appear. These results are indeed eye-opening, suggesting that doctors have been focusing far too much on concussion injuries and not enough on simple head impacts. Football athletes at every stage of the game sustain head trauma at this level, and that fact should concern people, especially parents. America’s Got Talent but at what cost? As mentioned above, CTE is a degenerative brain disease that happens in people who have experienced repeated trauma or concussions. Contact sport athletes and veterans are two common groups at risk for the disease. People also need to realize that the risk doesn’t limit itself to recent injuries. Even if an athlete only played a contact sport before college, he can still develop problems that will show up later. Why is that? For now, researchers think that repeated head trauma is the key to this disease, although they don’t know the exact number of hits needed for it to develop. Genetics might also play a role since some players don’t develop the disease at all. Either way, athletes and military veterans should watch closely for signs of CTE and get help if they’re experiencing any neurological problems. Protecting Kids Is Top Priority. In light of this new research, what should experts and parents do to protect kids? The solution might mean enormous changes for youth football. 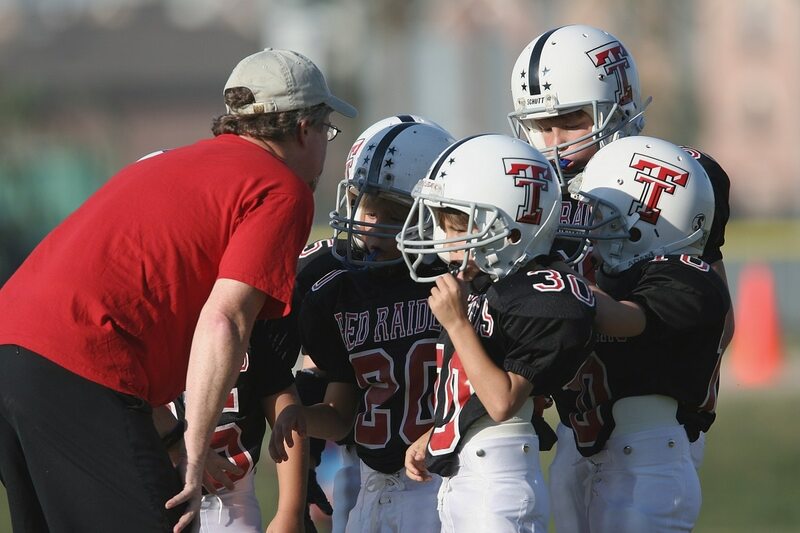 Surprisingly, many top professionals are calling for the end of tackle football in youth sports for good. Some think that athletes under age 14 should revert to flag football, a much less aggressive form of the game. That way, they can practice the fundamentals of football, laying the groundwork if they choose to continue later on. Others are sticking with their love of the sport, though, realizing that not all players will go on to experience neurological problems. Ultimately, everyone will have to come to terms with the question: should they protect the sport or the future of their kids? For experts like the ones involved in the study, protecting kids is top priority. Tackle football can be a dangerous sport at any age, especially for young players who get into the game. Fueling the debate on the game’s safety, new research is suggesting that the normal, everyday hits that players sustain to their heads could trigger a degenerative brain disease. Although the solution might be hard to swallow, parents should protect their kids at an early age. In the end, they could be protecting the game too.